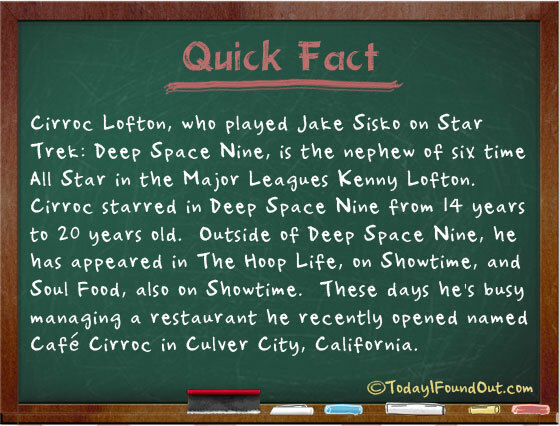 Cirroc Lofton, who played Jake Sisko on Star Trek: Deep Space Nine, is the nephew of six time All Star in the Major Leagues Kenny Lofton. Cirroc starred in Deep Space Nine from 14 years to 20 years old. Outside of Deep Space Nine, he has appeared in The Hoop Life, on Showtime, and Soul Food, also on Showtime. These days he’s busy managing a restaurant he recently opened named Café Cirroc. in Culver City, California.